GST Return is a document which includes the information of sales, purchases, input tax credit and every taxpayer is required to file this GST returns. The GST mechanism include electronic filing of returns, uploading of invoice level information and auto-population of information relating to Input Tax Credit from returns of supplier to that of recipient, invoice level information matching the auto-reversal of Input Tax Credit in case of mismatch. Under GST taxpayer needs to file monthly returns and one annual return. GSTR-1, GSTR-2 and GSTR-3 are required to file by normal taxpayers. GSTR-1 form includes the details of outward supplies of taxable good or services. This form contains 13 different heads like GSTIN of the taxpayer, Name, Turnover, Export Sales, Tax paid etc. The due date for filing of GSTR-1 form is 10th of Next Month. GSTR-2 form includes the details of inward supplies of taxable goods or services. GSTR-2 form contains the heads like GSTIN of the taxpayer, Name, Details of Inward Supplies, Import of Goods, Tax paid, Input Tax Credit Reversals etc. The due date for filing of GSTR-2 form is 15th of Next Month. GSTR-3 form includes the details of Monthly return on the basis of finalization of details of outward supplies and inward supplies along with the payment of amount of tax. GSTR-3 form contains heads like GSTIN of the taxpayer, Name, Address of the taxpayer, Details of outward supplies, Details of Inward Supplies etc. The due date for filing of GSTR-3 form is 20th of Next Month. GSTR-4 form includes the details of Quarterly Return for compounding taxable persons. The due date for filing of GSTR-4 form is 18th from end of the Quarter. GSTR-5 form includes the details of Returns for Non-Resident foreign taxable persons. The due date for filing of GSTR-5 form is 20th from end of the month. GSTR-6 form includes the details of Input Service Distributor Return. The due date for filing of GSTR-6 form is 13th of Next Month. 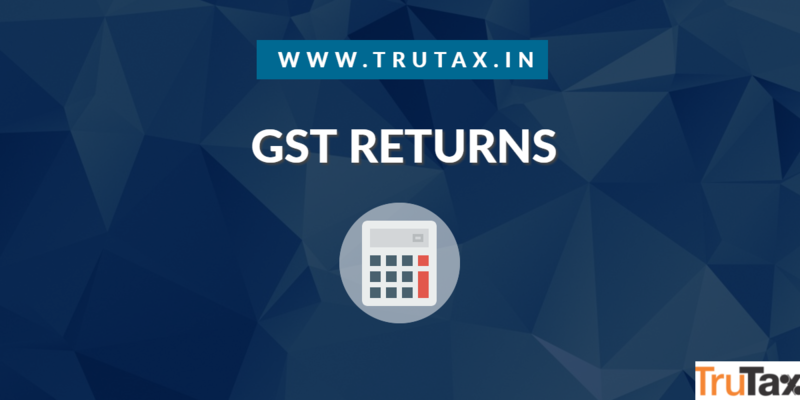 GSTR-7 form includes the details of Return for authorities deducting tax at source. The due date for filing of GSTR-7 form is 10th of Next Month. GSTR-8 form includes the details of supplies effected through e-commerce operator and the amount of tax collected as required under sub-section (52). The due date for filing of GSTR-8 form is 10th of Next Month. GSTR-9 form is required to file Annual Return by taxpayer. In this return, the taxpayer needs to furnish details of expenditure and details of income for the entire financial year. The due date for filing of GSTR-9 form is 31st December of next financial year. GSTR-9A form is used for Simplified Annual Return by compounding taxable persons registered under Section 10. The due date for filing of GSTR-9A form is 31st December of next financial year. Taxpayer who fails to file GSTR-1, GSTR-2, GSTR-3 or Final Return within the due dates shall be liable to pay a late fee of Rs. 100 per day, subject to a maximum of Rs. 5,000.